STAHLWILLE customers, end users, sales staff and apprentices & trainees at vocational training colleges can choose from a wide range of attendance workshops: the training programme consists of classic introductions to the function, handling and repair of tools and detailed technical instruction required for checking and calibrating torque tools. Experienced training managers explain basic theoretical concepts clearly and succinctly, and all the necessary hands-on actions are trained in practical exercises. A new item is the training course on DIN EN ISO 6789:2017, which only came into force a few months ago, relating to the testing and calibrating of torque tools. "This topic is causing quite a disturbance amongst customers and calibration laboratories", explains training manager Andreas Kolfhaus. "This is why we explain exactly in this new module what has changed in the new standard and how to run checks and calibrations today." As with all product and user training courses at STAHLWILLE, hands-on practice plays a central role: as part of the training workshop, the participants have the opportunity to apply the skills they have just learned on a STAHLWILLE calibrating unit. All the attendance workshops take place at the Wuppertal-Cronenberg location in STAHLWILLE's completely refurbished historical Kontor Customer and Training Centre. This centre contains a state-of-the-art information centre with meeting rooms and a high standard of contemporary comfort for participants. This makes it the ideal location for demanding training modules. 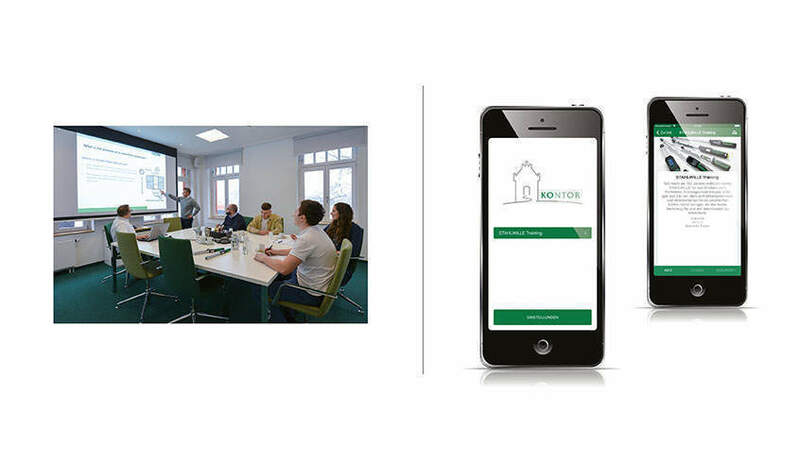 As a supplement to the attendance workshops, STAHLWILLE has recently launched its online training app. This app enables users, independent of locations and schedules, to study the topics of "Mechanical torque wrenches", "Electronic torque wrenches", "Application engineering", "DIN EN ISO 6789:2017" and "Repairs" in detail. Use of the modules, some of which require a payment, involves prior registration. The app is currently available in German but an English version is scheduled for this autumn. Further details of the training workshops offered by STAHLWILLE can be found at STAHLWILLE Schulungen.